While talking about a modern bedroom we always think about the coziness and decors of bedroom! 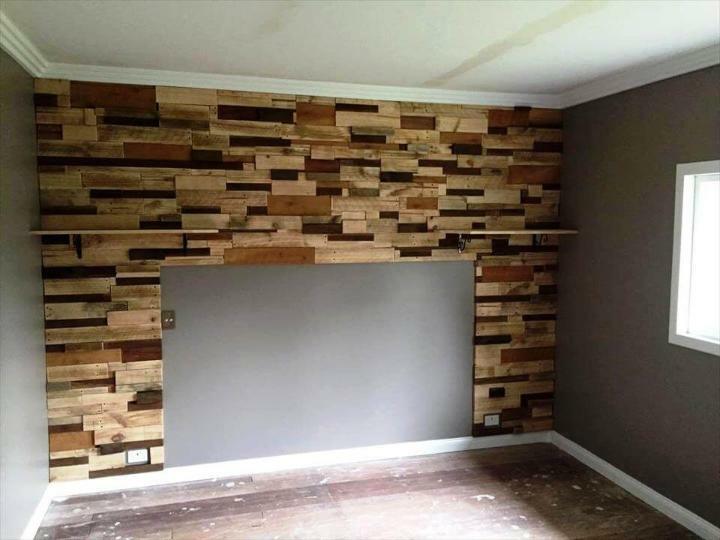 Now you can easily jazz up your bedroom interiors using some free pallets! 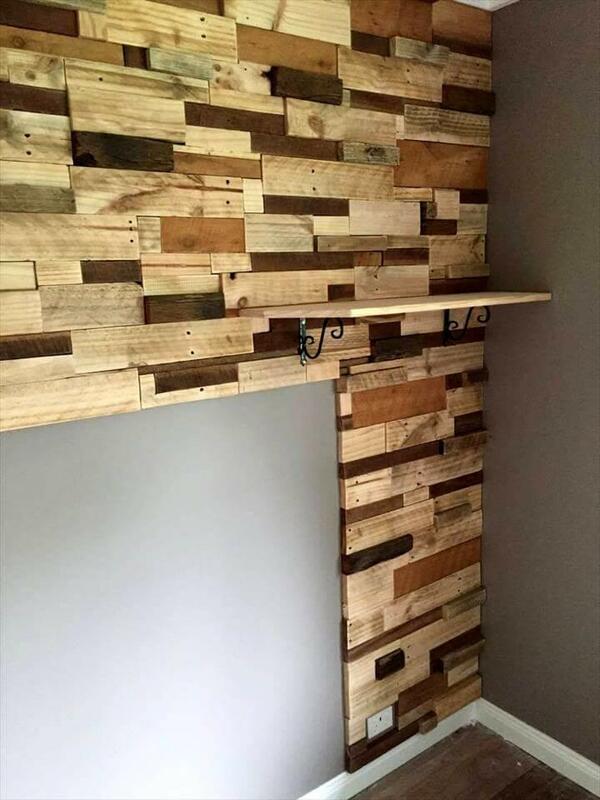 Want to create an all modern and stylish look of your bedroom just copy this DIY pallet feature wall project for bedroom, gives an accent background wall to bedroom that is added with beautiful display shelves! 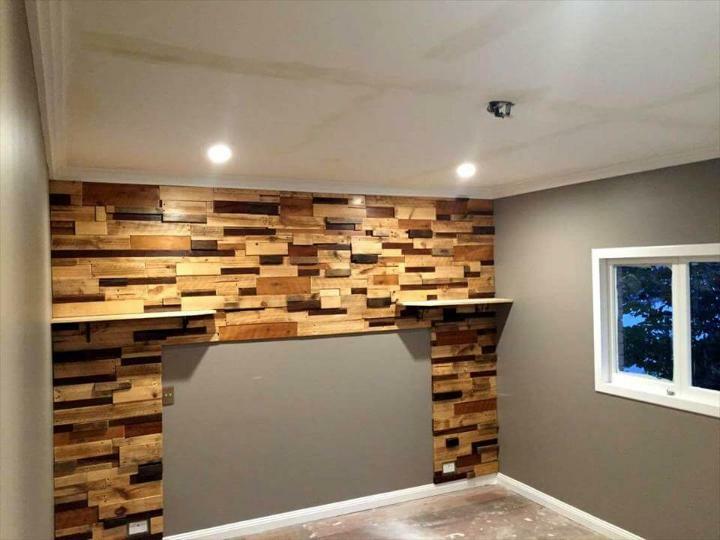 Using pallet leftovers having different tones and wood species, the whole back wall area of bedroom has been filled solid just like a puzzle game! Then accent display shelves have been mounted over to showcase the phenomenal bedroom decors, art pieces and centerpieces! Here display shelves have been supported through accent metal swirl frame that also raises the aesthetic appeal of wall area! This is how you can give a fantastic wooden touch to your bedroom without getting a bit expensive! Mural frames and photo frames can also be placed over the feature wood wall hanging shelves for bigger statements of decors! 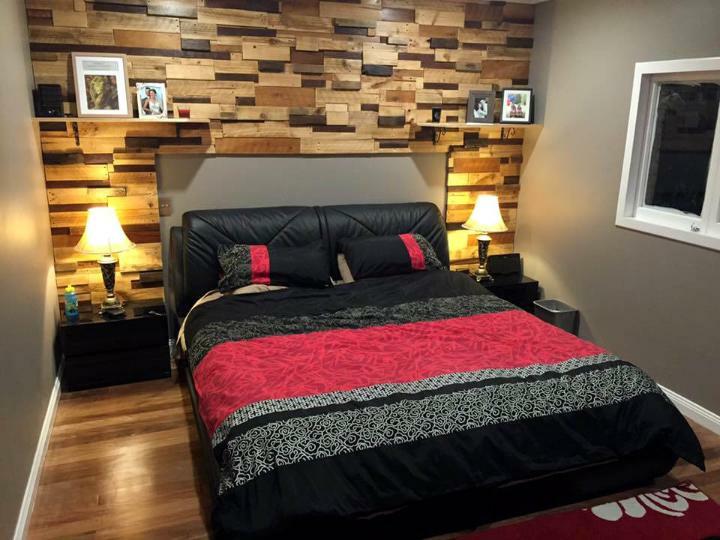 Here you can see that how beautifully this pallet-made feature wall adds warmth, coziness and a glam wooden touch to the bedroom or pallet bed! 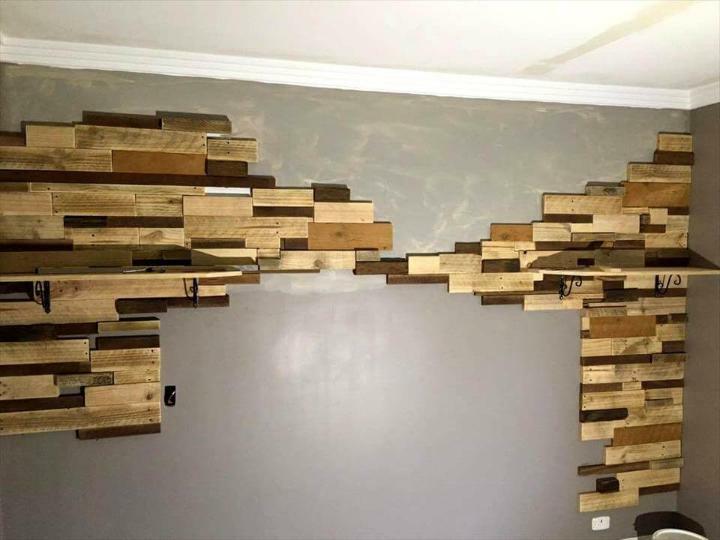 Start mounting the pieces of pallets by starting from one side and fill the entire wall! Here space for the headboard has been left blank! Different wood tones brings prominence and a glam character to entire wood wall, do cut the wood out to make the electrical outlets appear over the wood wall! Here antique accent swirl brackets have been mounted on the wall to support the display shelves! Apply the finishing coats for an enriched wooden look of the wall and also for stunning spark on the wood grains! You can think many other ways to spice up this wooden bedroom background accent wall!